This is a story unlike anything I have read in a long time, it is more than just a horror tale it delves deep into the very fabric of our existence distorting everything we think we know about life. In The Third Twin, we are introduced to Barry Ocason who at first seems to be living the life most of us can only dream about. He's not tied to a dull pointless desk job but spends his days travelling around the world indulging in his love of outdoor sports and making his money as an outdoor travel writer. His fortunes soon take a downward turn when he receives from out of the blue an adventure for a treeking adventure in the Bavarian Alps, Germany which compels him to answer. But before he goes he brings his teenage daughter along with him to the Spider Festival he's writing an article about in Rio Tago, Brazil. There he finds the Elephant Man who takes an unusual interest in his daughter. We soon realise that Barry is no stranger to pain and horror which I won't delve into so as not to bring up spoilers. He must fight to salvage what he has left in life except he is fighting something which he cannot see nor pin point, yet this threat seems to know all about him. 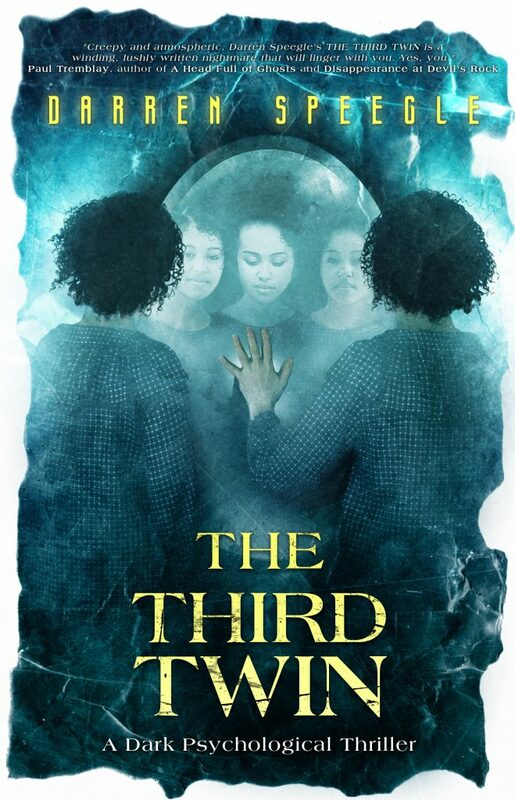 The Third Twin is a story that starts off fairly slowly as we are introduced to Barry and his family but soon he is locked in a battle against an unknown entity to save his daughter and try and salvage something from his failed marriage. Barry is a pretty normal down to earth guy which makes this story feel more unsettling, making us think this situation could happen to anyone. Throughout his globe trotting chase of cat and mouse he never becomes subject to hysteria and fear, instead he is methodical, calculated and calm which makes the story seem more terrifyingly real. This is a very ambitious novel which delves into the mystery of twins, the bridge between life and death, it's not always an easy read but one that is worth it. Quickly it picks up pace demanding your full attention as it is unlike anything you have read before. I found myself skimming a few parts, not because it was dull but because I was desperate to know what was going to happen next. It's a read that leaves you wanting to read it again. As again this is another great tale from Crystal Lake Publishing. I urge you to check out their other titles such as Embers by Kenneth W. Cain. They have produced some great edgy horror fiction as well as books about how to make it as a horror writer. Darren Speegle is the author of six books, including his recently released debut novel The Third Twin (Crystal Lake Publishing). His second novel, Artifacts is due in 2018, while a third, The World is My Oyster, has been completed. The latest of his five short story collections, A Haunting in Germany and Other Stories was released in 2016 by PS Publishing. His short fiction has appeared in numerous venues, including Subterranean, Cemetery Dance, Clarkesworld, Postscripts, ChiZine, Crimewave, The Third Alternative, Fantasy, Dark Discoveries and Subterranean: Tales of Dark Fantasy.